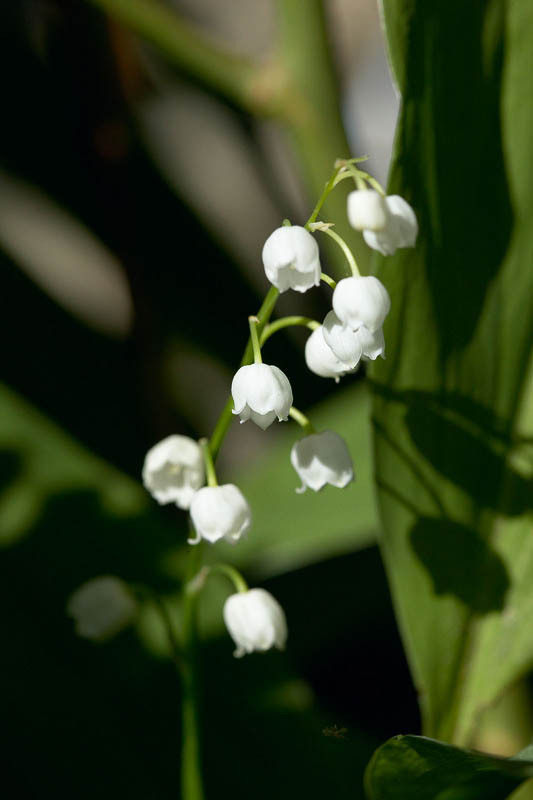 May-lily stalk with little white blossoms. Beautiful ornamental plant with delicate white blooms. Decorative fragrant flower. Botany, flora.